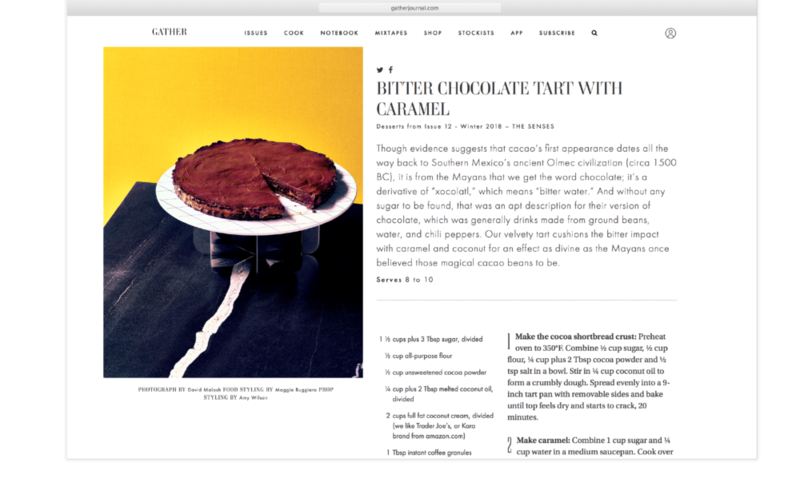 Gather Journal is an independent food publication with a strong digital presence. Since the launch of its first issue in 2012, our team has been Gather’s digital partner in every step of this brand’s award-winning growth. In our 5+ years as their creative partner, we’ve defined and projected the brand’s digital voice. Through content and social media strategy, a smartly organized website and recipe app, we’ve helped grow Gather Journal into an award-winning independent brand that at its pinnacle won the 2016 SPD Brand of the Year. Mercury works closely with Gather as a strategic partner in their digital initiatives. As a brand with only two print publications a year, their digital arm powers all engagement between releases. 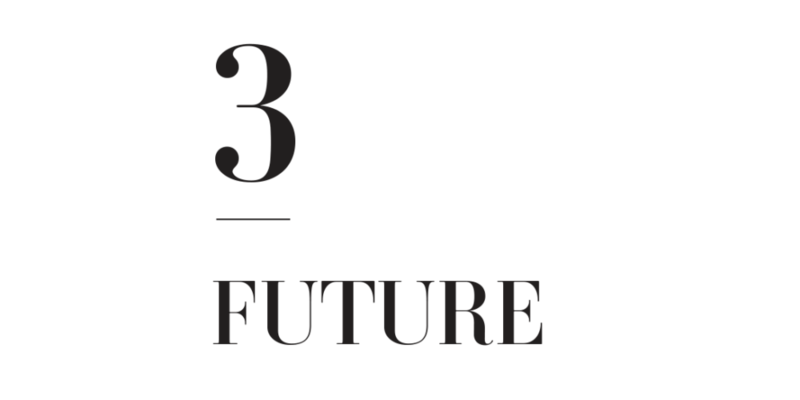 To effectively engage readers between print cycles we devised a comprehensive, consumer-targeted strategy. Increase value for print advertisers. 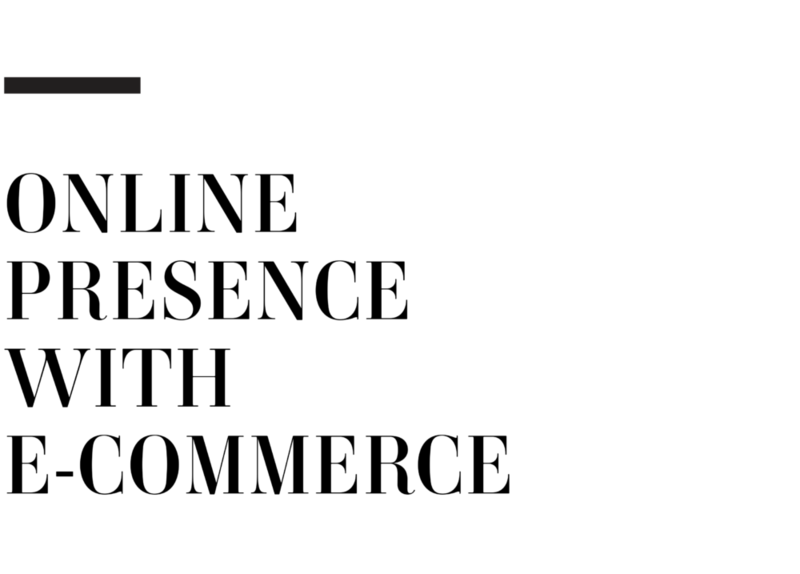 Create an online presence that adds value to the brand—by facilitating subscriptions via e-commerce and by providing readers more ways to explore the brand. 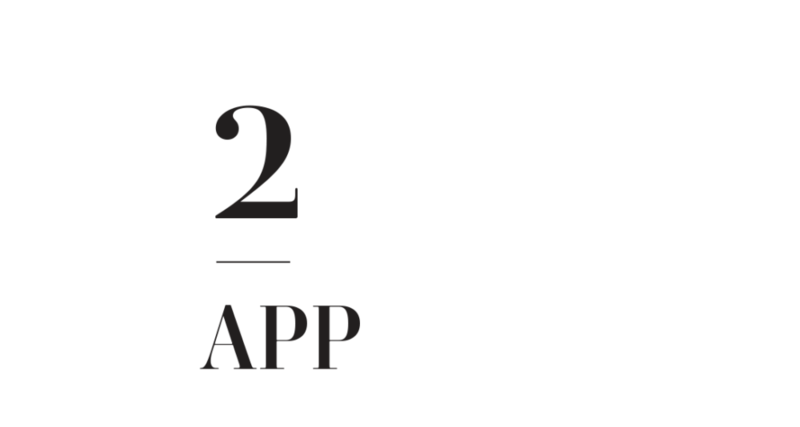 Build an app that users want to use. 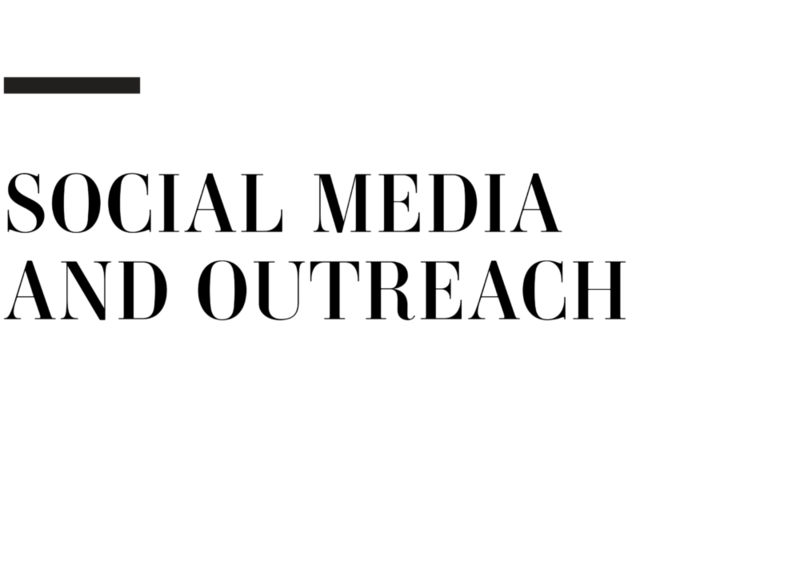 Establish a powerful social media and outreach strategy to reach readers on social platforms and their inbox. 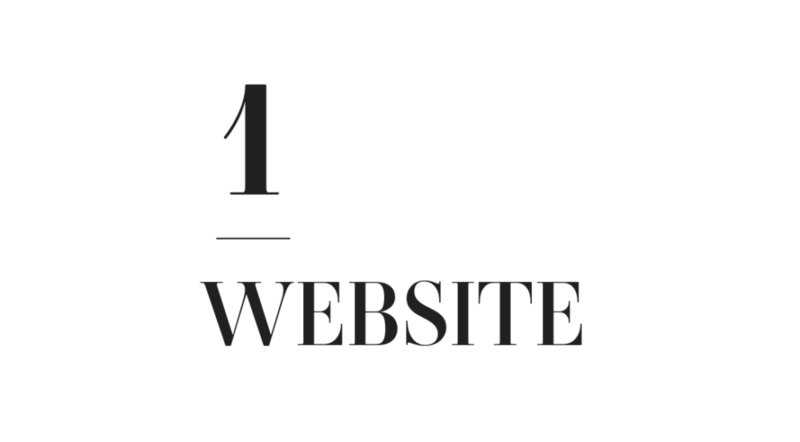 Mercury designed and developed the Gather Journal website on a custom WordPress CMS. From the beginning, we knew the digital offerings would expand, so we organized and categorized content intelligently to produce cost-effective and easy-to-implement digital initiatives like a paywall and the recipe app. We included just two subscription options: Annual or Gift. 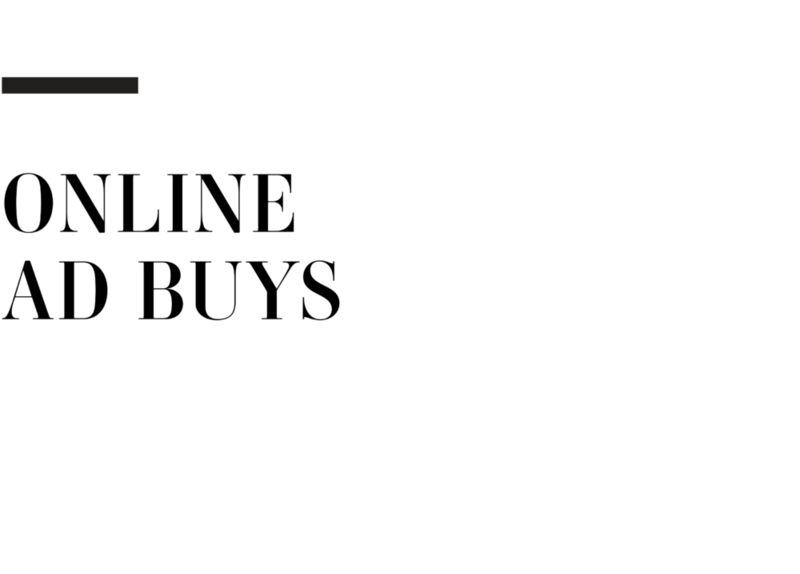 This simplified the purchase process and boosted subscriber satisfaction. 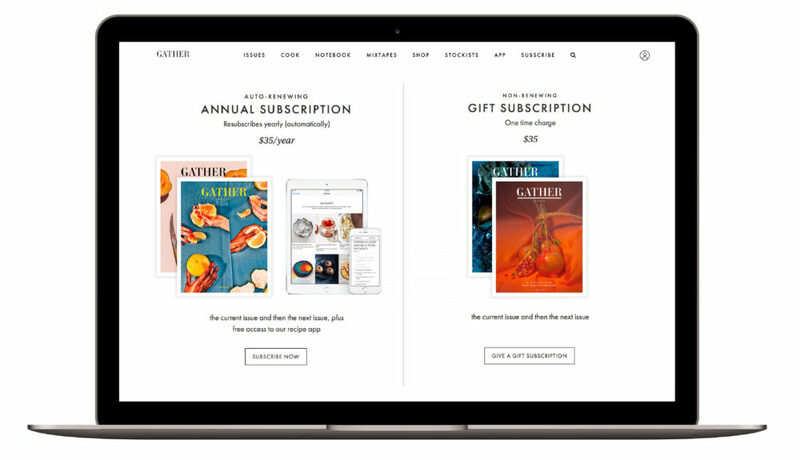 Gather Journal’s website was designed to engage readers in ways the print could not. 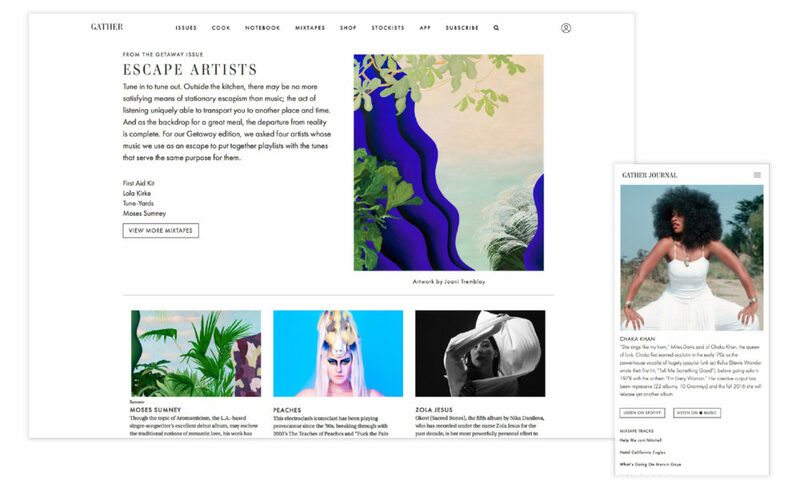 We created digital exclusive Mixtapes and Notebook sections on the site where readers could enjoy tunes and articles not included in the printed publication. 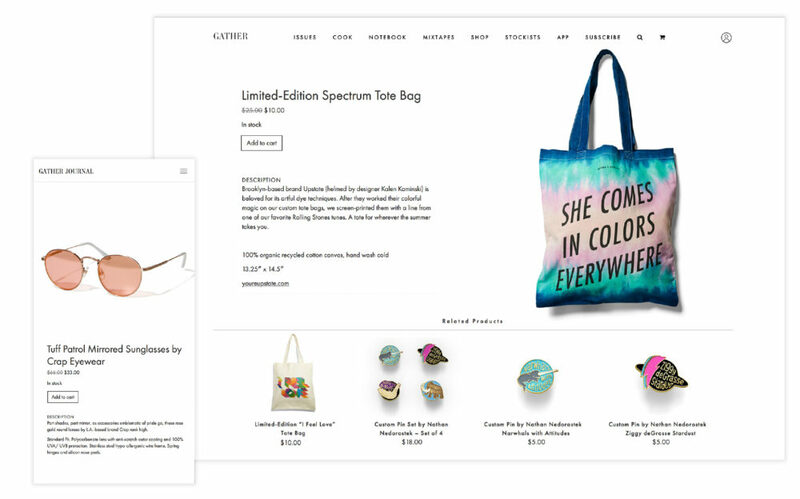 Gather’s online Shop empowers readers to purchase subscriptions, back issues and special products featured in each issue. 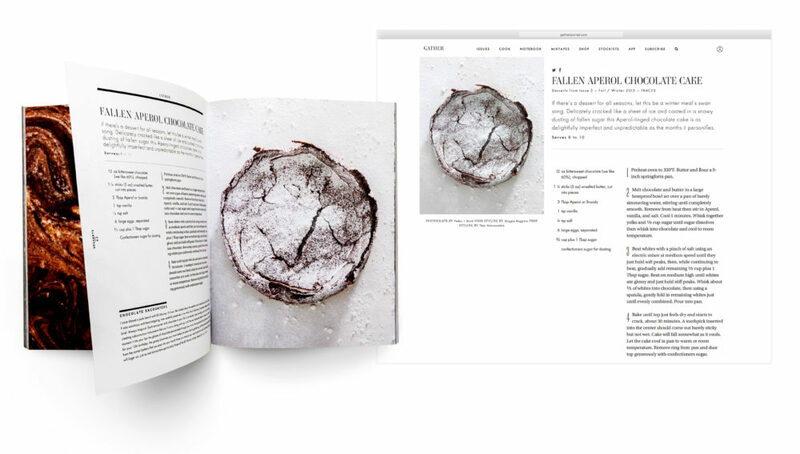 Gather is known for its stunning food photography and impeccable — “Designed to inspire and to last.” In translating the magazine to its digital counterparts, we knew it was important to maintain this essence. We carefully studied the type, imagery and their treatment of the original and adapted it so that readers could have the same elegant experience on the screen. During insight research, we discovered Gather subscribers were buying two copies of the magazine—one for the bookshelf and one for the kitchen. 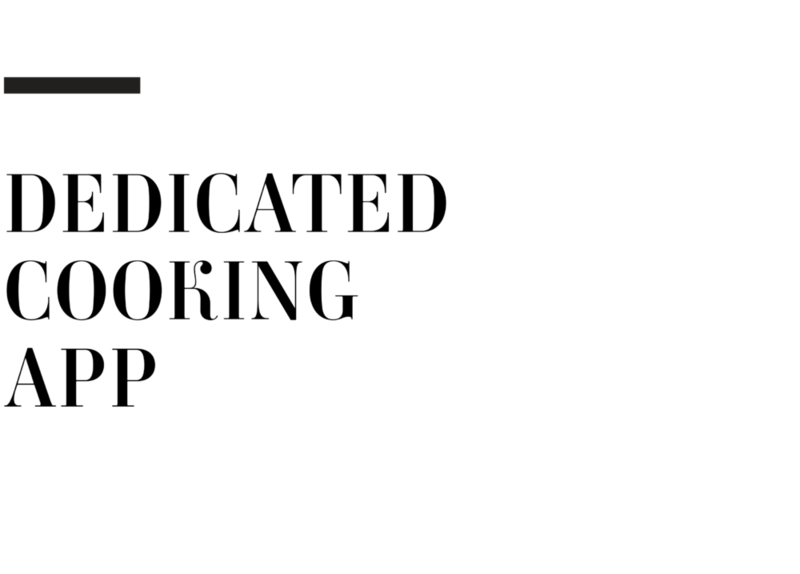 To fill this need for the “kitchen copy,” we created a recipe app. 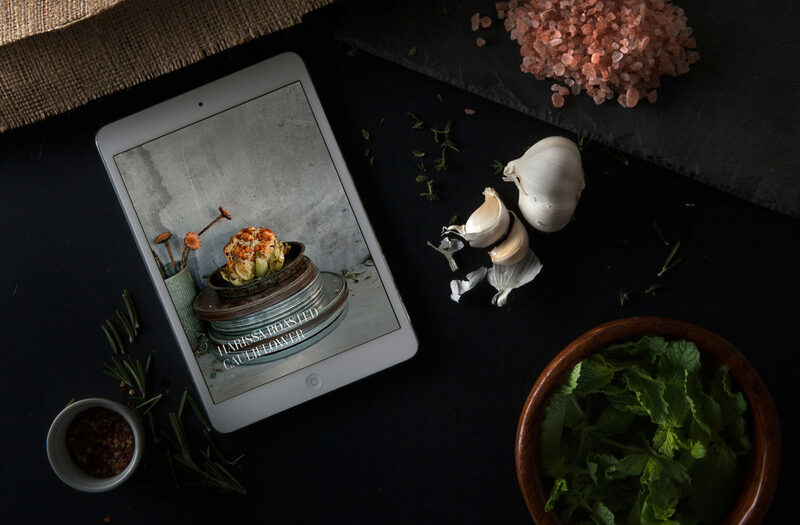 This cooking companion works across devices (tablet and mobile) and offers users an easy-to-follow recipe interface while upholding the high visual standards of the brand. All print issues are imported into a central WordPress CMS as smart data. Using custom fields, recipes are stored as smaller components: individual steps, ingredients, quantities and measurements. Smart data powers expanded digital initiatives like Apple news, dedicated apps and reader friendly perks like digital grocery lists. We produced an open source WordPress plugin that allows publishing directly from WordPress to Adobe Experience Manager (AEM) Mobile. Gather can edit in one central WordPress CMS and sync across platforms.